A tough finishing hole where the final tee shot of the day needs to carry the ever-present Grims Dyke to find the hidden fairway. The second shot needs to carry the cross-rough to a two-tiered green that is well protected to the left and right by grass bunkers and mounds. 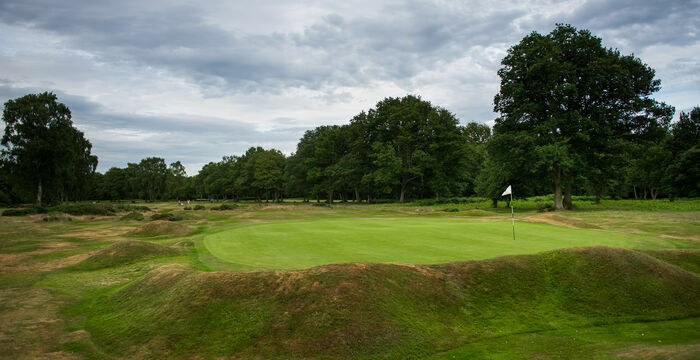 Having completed the eighteenth hole you will take away many happy memories and no doubt look forward to a return visit to the Berkhamsted experience. "Great layout in beautiful surroundings. Really nice condition on the course right now. Definitely coming back." "Beautiful course! Keep coming back again and again"